This is a veterinary hospital for people who love cats. We paid attention to detail so that even cats that hate hospitals can feel comfortable during their visit. The hospital will only have cats inside and no other animals, and thus no barking from large animals can be heard. We are not just about the facility, but we also consist of cat-loving staff who provide respectful care. Not only our animal doctors, but our nurses also participate in Japanese and foreign education programs to learn the newest medicine for cats. We suggest treatment plans through discussion with the owner and putting the cat’s happiness first. We strive to be a “Cat Friendly Clinic (CFC).” We pay attention to the nature of cats, and have thus created a waiting room where cats will not see each other in a natural manner, and a hospitalization room where cats can move up and down. All our staff love cats, and nurses that are cat experts will handle them with great care. We provide quality medication by specializing in cats. In addition to diagnosis and treatment of diseases, we provide birth control, vaccination, and counseling for problematic behaviors. 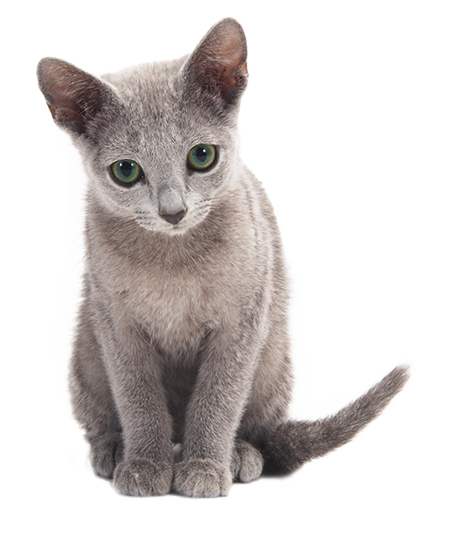 Tokyo Cat Specialists provides holistic support for a happy life with cats. If you are concerned about stress from moving to a hospital, we also provide home visits. We can also take care of your treasured cats at our cat hotel. Please contact us as early as possible when changing or canceling an appointment. If you do not arrive by your scheduled appointment time, you may be asked to wait until other animals have been seen. Although we operate based on appointments, you may be asked to have your pet seen by the veterinarian ahead of or after your scheduled appointment time due to animal medical conditions, the need for emergency response measures, etc. First-time users will be asked to fill out a medical questionnaire. Please arrive 10 minutes ahead of your scheduled appointment time to fill this out. If you wish to make an appointment on any day besides Wednesday, or want to request a home visit at an address outside of Minato Ward, Shibuya Ward, Shinagawa Ward and Meguro Ward please inquire by E-mail. For home visits, payment must be made using a credit card (Visa, MasterCard, JCB, American Express, Diners Club International or Discover). In rare cases, cats may hide when the veterinarian arrives, making examination/treatment impossible. If this occurs, the customer will be charged for the home visit fee only. Certain examinations, treatments and procedures, including those requiring x-ray equipment and/or the use of an anesthetic, cannot be performed during home visits. Please e-mail or call us for details. If you wish to request cat hotel services, first visit our clinic so we can confirm vaccination history and the cat's current state of health. Please understand that, for the sake of the cat's well-being, we may refuse cat hotel services if the cat is exceedingly anxious or nervous during their visit. Your browser is old. Please update new version.